A few days ago Warcraft director Duncan Jones hit social media to tease that his next film would be a comic book movie. He said that another clue would be coming soon after, and he wasn't kidding. 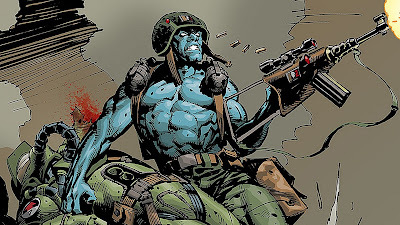 Although I hesitate to even call this a "clue" as an outright reveal, as he's pretty much confirmed the film will be based on the Rogue Trooper character from the 2000 AD comics. The Mohawk he's sporting there at the end is exactly like Rogue Trooper's. Let's see if he keeps it throughout production, though. 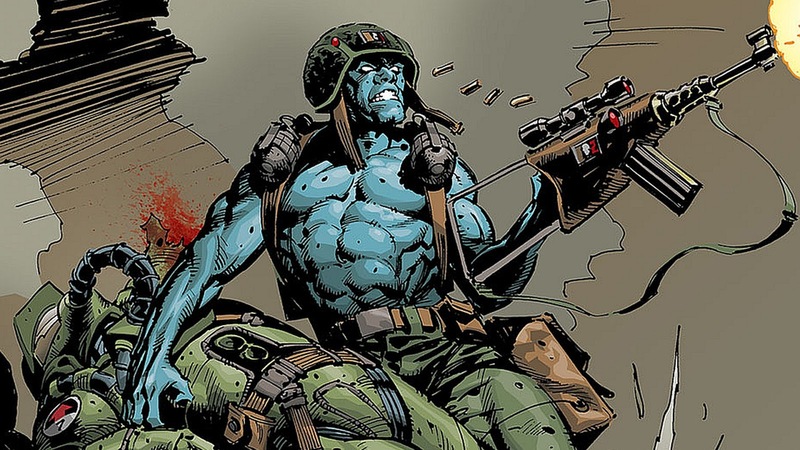 For those unfamiliar with the character, Rogue Trooper is a blue-skinned super-soldier known as a G.I. or Genetic Infantryman. Developed by the Southers to be immune to virtually all toxins, Rogue travels the wasteland on a mission to find the Traitor General, who destroyed the other G.I.'s. He's accompanied on this mission by his three of his fallen comrades whose personalities are kept in biochips attached to his helmet, backpack, and rifle. The character was created by Gerry Finley-Day and Watchmen artist Dave Gibbons, first appearing in a 1981 issue of 2000 AD. The timing of all this tells me Jones may have some new information at Comic-Con, so I'll be sure to keep an eye out!